A visitor that subscribes to your push notifications doesn't need to enter any personal details like name, email address, contact number, etc. This is why most of your subscribers are tagged as anonymous. But, there are cases where it is possible to get access to your subscriber's details. 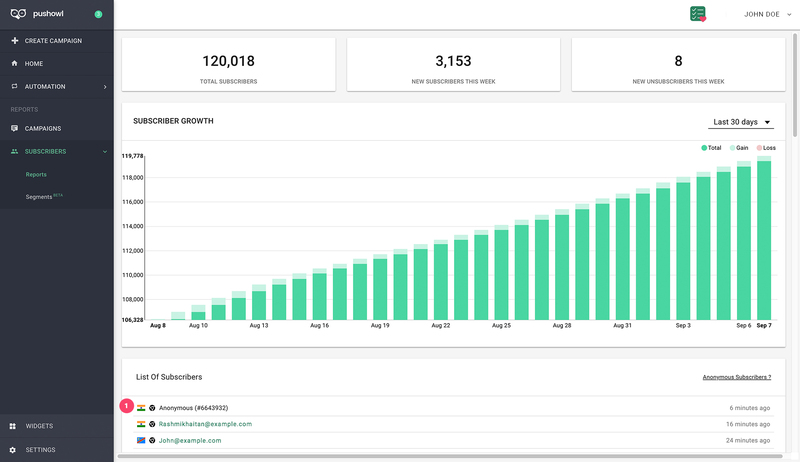 If an anonymous subscriber creates an account on your store or logs into an existing account, PushOwl will automatically sync their subscriber details with their customer information from your Shopify dashboard.